A group of female filmmakers headed for L.A. bask in success after a screening of their new horror film. That is, until director Crystal Lacroix goes missing and the others are forced to seek help from a couple living in an isolated farmhouse. Things go from bad to worse as the women find themselves fighting to avoid becoming research subjects for the crazed couple. 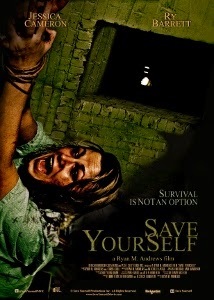 That’s the set-up for the upcoming Save Yourself, a horror film to be directed by Ryan M. Andrews (SICK, Black Eve) and starring scream queen Jessica Cameron (who is also set to co-produce the film with Emma Sutherland). Co-starring in Save Yourself is Ry Barrett (Neverlost, Desperate Souls, Antisocial). Barrett previously collaborated with Andrews and Cameron on the 2013 short film Klymene. 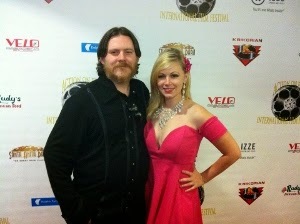 Jessica Cameron’s recent film, the award-winning Truth or Dare, has been making the rounds on the festival circuit. Other notable roles for Cameron are the Roger Corman-produced Syfy movie Camel Spiders and the 2011 remake of Silent Night. She has done double-duty as star/producer in four movies within the past year – Save Yourself will be her fifth. Shooting starts later this year in Ontario, Canada. For the latest news on Save Yourself, follow them on Facebook and Twitter.